Charles Giuliano: We’ve been talking about your current involvement with launching the Music Museum Of New England, and your days managing the legendary rock and blues club, The Boston Tea Party. We met in 1967 just after you went to work at the club. 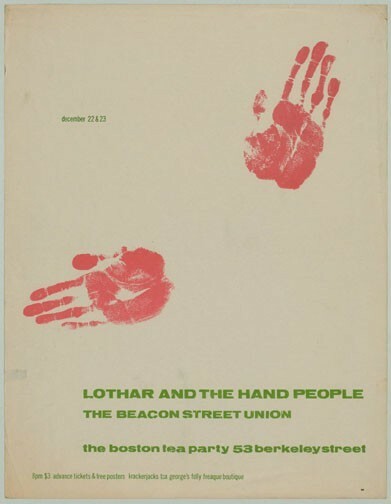 At the time I was briefly the design director of Boston After Dark, the predecessor to The Boston Phoenix. I recall you coming into our office to place an ad for the Tea Party, and it annoyed me that you insisted on laying out your own ads. I thought, who is this guy? Steve Nelson: Yeah, I must have struck you as pretty arrogant or weird. I walked in the door, and took over a work space, just like that. And when I opened the cheap attaché case I was carrying, there were no file folders or papers in there, just stuff to do graphic layouts: a T-square, blue pencils, an Exacto knife, rubber cement, and lots of Letraset, that press-on type we used to make what were called mechanicals. You stood there looking at me, and your jaw dropped open when you saw that stuff. But hey, I was having fun! 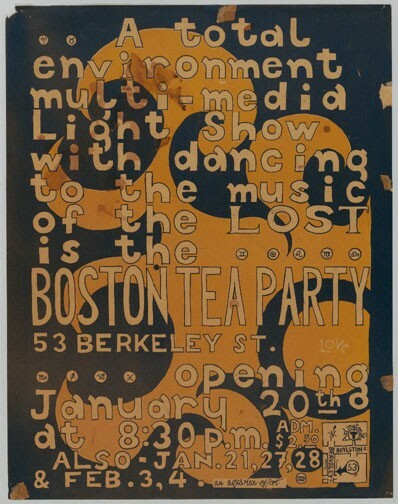 And more than that, I was very conscious of trying to develop an image for the Tea Party that set it apart from the psychedelic look of its counterparts on the West Coast, like the Fillmore and Avalon Ballrooms. The work the poster artists were doing out there, like Stanley Mouse and Alton Kelley, was spectacular, those classic Grateful Dead Jefferson Airplane posters. I didn’t want to do a second-rate version of that, which is what the Tea Party had been doing when I came on board. Anyhow, I gave up doing the graphics pretty quickly, since I really wasn’t a designer, and brought in my friend Bob Driscoll to do posters and ads. He created an entirely new unpsychedelic look, spare with lots of white space, very New York Cambridge Design Research-y. Absolutely brilliant. His posters are highly collectible these days. CG: We can’t recall the Tea Party without talking about Ray Riepen, who owned it. You knew and worked for him. 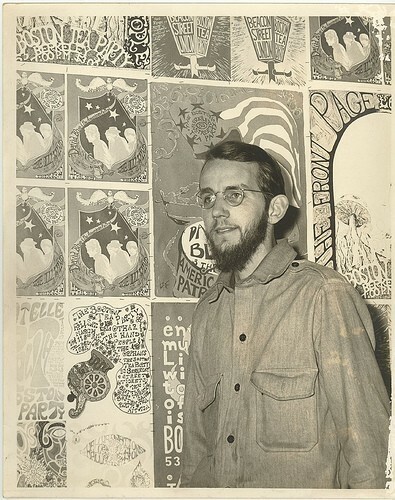 How does he fit into the counterculture in Boston in the Sixties? SN: We wouldn’t be having this dialogue if it weren’t for Ray. He was a lawyer from Kansas City, of all places, who came to Cambridge for a year to get a Master’s degree at Harvard Law School. A friend of his from Missouri, Jessie Benton, was living in a commune in the Fort Hill area of Boston. She asked Ray to get her a divorce so she could marry Mel Lyman, the head of the commune and former harmonica and banjo player with the Jim Kweskin Jug Band. You had ties to Fort Hill through working on the Avatar, the underground paper they published. Did you know her? CG: Jessie was the daughter of the regionalist painter Thomas Hart Benton. The Bentons were descended from the first governor of Kansas. The artist was among the foremost of his generation. He was also the teacher of Jackson Pollock, who regarded him as a mentor and friend. Pollock summered with the family on Martha’s Vineyard. A major painting by Benton, an illustration of “Streetcar Named Desire” was sold by the estate to the Whitney Museum of American Art for the benefit of the Fort Hill community. It is said that the artist admired Lyman, who conveyed a similar spirit of unvarnished, grass roots, rural Americana. Mel largely modeled himself on Woody Guthrie and sang many of his songs. Guthrie’s book “Bound for Glory” was an inspiration for Lyman’s “Autobiography of a World Saviour.” The Fort Hill community is said to have acquired the Benton farm in Kansas and property on Martha’s Vineyard. SN: Another of the Hill people you also may have known, George Pepper, was starting the Filmmakers Cinematheque at the former Unitarian meeting house on Berkeley Street. 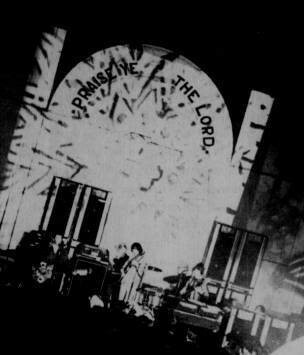 They were going to show what we used to call underground movies, by the likes of Andy Warhol, Stan Brakhage, Jonas Mekas and other artists experimenting with film. CG: Mekas ran the original Filmmakers Cinematheque in New York, and also wrote a column for the Village Voice. Mel knew Jonas, who befriended and wrote about him. Mel was very interested in and influenced by the underground film movement. Heacquired some equipment and made films. Mel was at the time conducting sessions in which he mentored Hill residents through their trips. Today, some of those films would be regarded as Svengali-like and offensive. The intention was a form of reality or documentary effort. A Lyman/Hill mantra at the time was about “being real.” The Lyman films were a part of that search for truth. SN: As you know, Mel was a controversial cult figure and self-styled avatar. Rolling Stone later did a major cover-story expose about him. I never met him, and wasn’t aware of the connection you mentioned to Jonas and the Cinematheque in New York. That was completely separate on a financial and operating level from the one in Boston, which Pepper ran. He decided that the movies would be shown during the week, and on Friday and Saturday nights, they’d have rock bands and dancing like at the Avalon Ballroom in San Francisco. CG: David Felton interviewed me for the Rolling Stone piece. He came with a recommendation from my friend, and fellow gonzo journalist, the late Bill Cardoso. So I trusted Felton and gave him our version of the conflict with Avatar. David Wilson and I have extensively covered the controversy when the Lyman gang broke into the office and stole Issue #25 which had just come back from the printer. I was shocked and felt betrayed when Felton portrayed me as Harry Bikes, a crude politico and biker. SN: Yeah, I wouldn’t have messed with you either, Charles. Anyhow, Ray got involved in setting up the dance concerts in partnership with David Hahn, a hippie MIT grad who was living on Fort Hill at the time. He owned a three-decker across from the tower and at one time rented an apartment to Richard Griggs and David Kinsman of Ill Wind. He also had run a bus line in Honduras, and sold used Army jeeps and military transports. Together Ray and David scraped up $3,000 and opened The Boston Tea Party at the meeting hall. 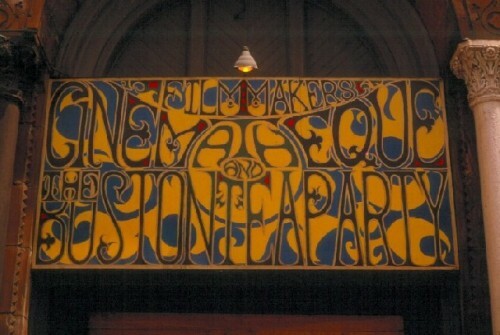 You can see the connection between the film and music in the sign over the front door, with the names of both the Cinematheque and the Tea Party. At first the Tea Party just booked local groups like The Lost (with Willie Alexander), The Hallucinations, The Beacon Street Union, The Bagatelle (Willie was also in that one), Ill Wind, The Cloud and many others. CG: From what I understand neither Ray nor David had any experience running a club before. I had some media dealings with Riepen and found him to be arrogant and sarcastic. There is a lingering memory of ashes all over his lawyer’s suit from chain smoking. SN: No, they didn’t know anything about the club business, but they were riding a cultural wave, and quickly had a real success on their hands. Ray brought his legal and business acumen to the venture, and David was more the creative guy who was involved with the bookings and did some of the posters. The Tea Party was the place to be if you were hip and into music. It only cost $2.50 or $3.00 to get in for a night, and was jumping every weekend. It had no liquor license, so you had local kids there from the South End, which was a real tough neighborhood then, long before it was gentrified, and you had kids from nearby Roxbury, a black neighborhood. You had hippies and musicians and college kids, plus a smattering of professors and professionals who came to check out what was happening Mr. Jones, as word got out about the place. And you had a local motorcycle gang, the Devil’s Disciples, who parked their bikes right out front and hung out in the balcony. An incredible mix of people. The big turning point for the club was the weekend of May 26 and 27, when The Velvet Underground first played there. 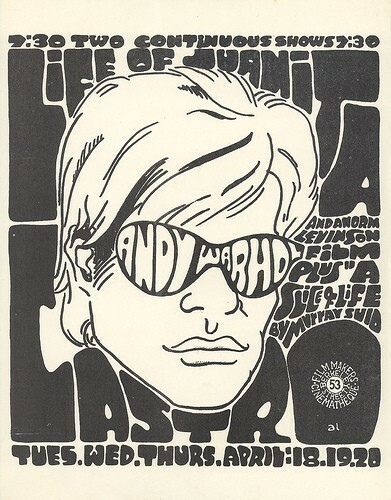 This was really their first gig without Warhol and the Exploding Plastic Inevitable multimedia freak show that usually accompanied them. Nico was still supposed to be playing with the group, but when she showed up late the first night at the very end of the gig, Lou Reed wouldn’t let her on stage. That really marked the beginning of the Velvets career, if I can call it that, as a four-piece touring rock band, touring when they could get dates that is, and the start of their close relationship with the Tea Party. If you look at the back cover of their White Light / White Heat LP, there’s a shot of the band sitting on the front steps of the club, with the letters “ARTY” from the Tea Party sign in the upper right hand corner of the photo. An appropriate comment by the photographer! The May gig was a special one for me too, because I was turning 26, which meant I was no longer a candidate for the draft, this being the height of the Vietnam War. So to celebrate I went to the Tea Party to see the Velvets, whom I had first seen play a year earlier at a party for the Paris Review which George Plimpton threw at the Village Gate in New York. I also went to sell some color slides to The Road, the Tea Party’s lightshow, just like the ballrooms in San Francisco had light shows. That’s when I first met Ray, and at the end of the night he gave me a ride to Cambridge, where we both lived, in this big brown Mercedes limo he chauffered himself around in. We talked about both of us having gone to Harvard Law School. That turned out to be a life-changing trip. Several weeks later Ray got in touch with me and said that he and David were going to split, that one of them was going to buy out the other, and that if he bought out David, would I be interested in becoming the manager of the Tea Party? I guess he figured that with my law background and connection to the “scene” and being into music, that I could do the job, even though I knew nothing about the music business or running a club. Of course, that wasn’t really a problem, since Ray hadn’t either when he opened the Tea Party. I found out later that the only other person he approached about the job was Jim Rooney, the manager of Club 47. Jim also performed there in a duo with Bill Keith, the pioneering banjo player from Boston who had been one of Bill Monroe’s Blue Grass Boys. 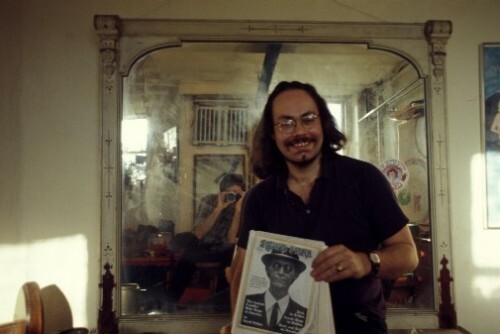 Jim was really a folkie at heart and didn’t want to abandon Club 47, struggling to keep its doors open despite its being a cornerstone of the 1960s folk revival. That left me, and when Ray did buy out David, I got hired to run the Tea Party. That was a dream job for me, a rock ‘n’ roller since my teenage days in New York listening to great ‘50s DJs like Alan Fried and Dr. Jive, and doing the latest dances. Even though Ray and I were both lawyers, we made an odd couple. I showed up for my first day of work, with Country Joe & The Fish headlining, in bellbottoms and beads and Bob Dylan hair. Ray was ever the lawyer from Kansas City, with a short haircut slicked down and neatly parted, always in a suit and tie even when he was at the Tea Party. I took care of the day-to-day club business and the creative side, booking the bands and promoting the shows. He kept his eye on the bigger picture, because he knew he was really onto something. The whole Sixties counterculture thing was exploding, with one of its epicenters in the Boston/Cambridge area, and Ray was looking to get a bigger piece of it. But to do that meant keeping the Tea Party open in the face of hostility from Boston politicos and bureaucrats, to whom its existence was anathema, what with the longhairs who frequented the joint and its racially-mixed crowd. One night in early ’68 The Cloud was onstage when the house lights go on and they see dozens of cops swarming into the place led by Boston Licensing Commissioner (and future 14-term City Councilor) Albert O’Neil. CG: The notorious “Dapper” O’Neil! A real right-winger, and a throwback to another era who had worked for Boston’s infamous Mayor James Michael Curley. SN: Dapper was always looking to create a stir and get a headline in the paper, so he brought along a Boston Herald-Traveler reporter, figuring he was about to make a big drug bust. But somehow the cops didn’t find any dope, and all he got us for was an expired license to dispense soft drinks. Still, we had to make an appearance in court, where Ray went into this country lawyer routine, no your honor, we don’t approve of drugs, shucks, all we’re doing at the Tea Party is giving the kids something to do. The judge turned to Dapper and made him apologize to us right there in court. He was fuming, you could see his florid face turn even redder. "Many fond memories. Ray once threw me a huge bundle of 100 dollar bills. I was 18, had never seen a wad like that come out of a guys pocket and get tossed to ME ! "Count it for me...." Never a dull moment. RIP Boston Tea Party"
"Thanks for all of the Boston Tea Party history I just wish I wasn't' so young at the time. I was ten years old." "Paul was the lead guitarist for The Hallucinations and rocked the Tea Party with signature tunes like Howlin' Wolf's Wang Dang Doodle." "You guys are making me so nostalgic." 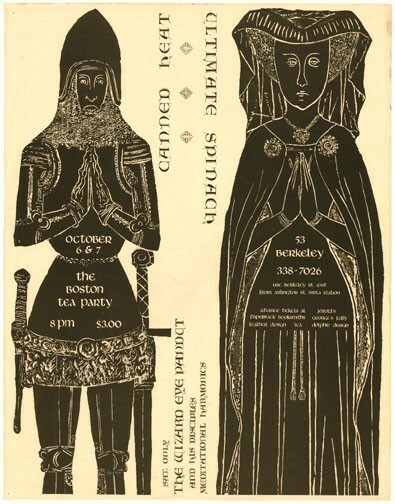 "David, that EPI/VU appearance at the ICA was on 10/29/66, and the next night they did what was billed as a "Halloween Mod Happening" show at the Leicester, MA aiport. Scary!" "It is grand to read about all the things and connections that were going on then and which I only partially knew at the time. 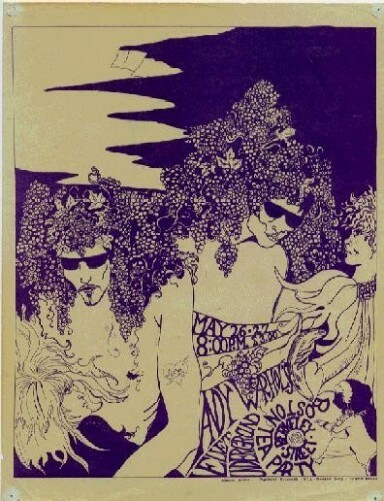 When I was with John Scoucos and Music Productions we attended the performance of Warhols EPI with the Velvet Underground when they first performed at the ICA and again a week or so later when they put it all on in Provincetown. 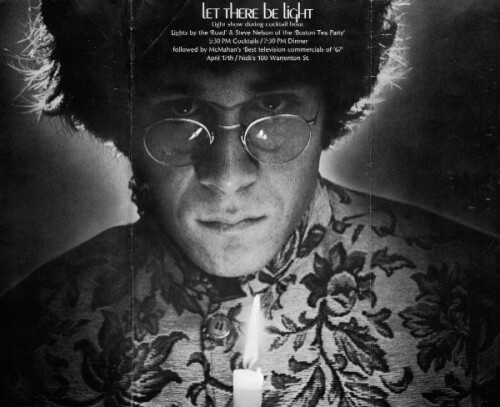 I hope you intend to illuminate Ray Riepen's involvement in the WBCN transformation. Talk about revolutions..."
"Thanks for this collecton of Historical moments in my lifetime and for letting me be a part of so many musical experiences. Morgan Huke - Forest and Road Light Shows - Boston Tea Party "